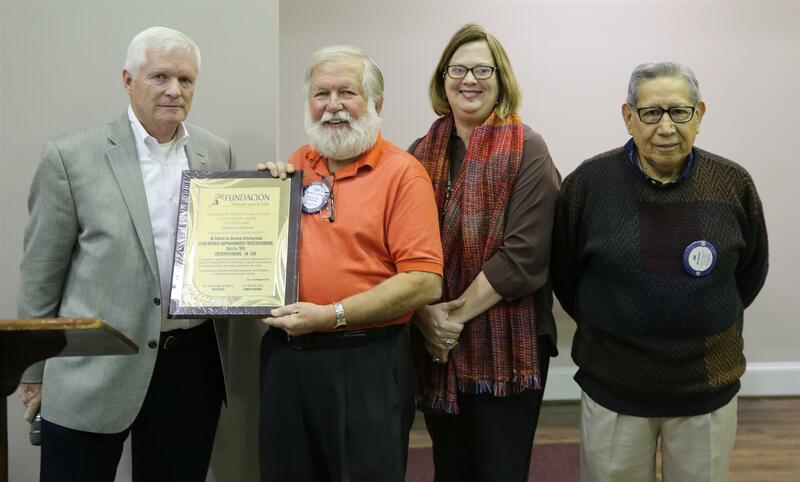 Tom Carlson, Jim Herrera and Leigh Anne Van Doren present a certificate of recognition from the Rotary Club of Ibarra to president Ken Tomayko. They recently returned from an International Committee trip to Ecuador. The certificate of recognition was given to celebrate the success of the trip in November 2018 and also to show appreciation for the funding and work our club has provided to projects in Ecuador over many years.